How can Google analytics help you understand your website performance? As the internet enables the global shoppers to come to the online portals, search and buy the products of their choices, merchants and website owners strive mortally to find out how their visitors are finding their website. Global activities done virtually on their website is a vital key to gaining insight into what appeals to your customers and how better businesses can serve their consumers. Web analysts and visionary marketing professionals constantly insist on integrating a seamless analytical system in place that gives a powerful watch over on-site activities to help improve website performance and targeting the most relevant audience. Businesses often seem to forget how important the data is to build a further strategy to enrich the interaction that takes place between buyers and sellers. 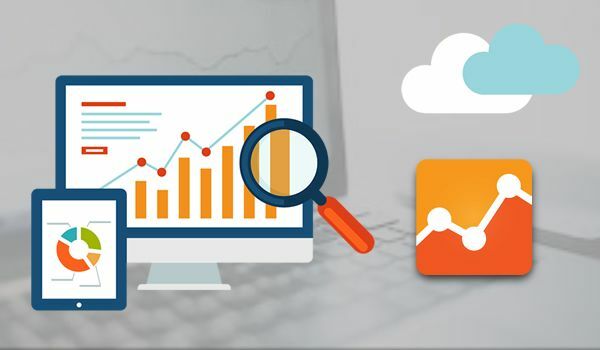 So here we have taken an initiative to enlighten you about how Google Analytics can work as a best tool to tell you all about your website performance indexes, key metrics and how well your business is doing. When you have installed Google Analytics, you will be presented with top four sections as you log into your account. The menu is split into: Audience; Acquisition; Behavior; and Conversions. Using the figures proposed by these sections, you can access the most crucial details of the traffic your website daily experiences. You can choose to keep watch on your traffic on daily, monthly, yearly basis. Usually, the most preferred way is using Monthly traffic as it shows how many visits your website gets a month. You can compare the data with that of a previous month to know how well you are doing. The bounce rate suggests how many people decided not to visit any more pages in the website than those they initially ran eyes through. This most likely happens in the case when visitors could not find what they sought initially. The bounce rate of up to 40% is normal; any higher number indicates that they could not meet the typical content they were expecting. But there is more: If it is an informative website with news material on its landing page, the bounce rate is likely to touch 80-100%. When bounce rate comes negative, it is the time to ascertain those links bringing traffic to your website from other sources. This metric shows the number of returning visitors as against the new ones. The optimal balance to be kept is 25% of returning visitors and 75% of new ones. If numbers come very different from this, you need to work on catching on more traffic to your brand. Keywords, the strength of web pages, updates and content quality are responsible factors for more engagement. Organic search holds greater importance among all as it shows how your website is leveraging Google’s search engines to attract visitors from search results to your web pages. Most visitors are likely to land on your website using this method. Ideally, 50% of all traffic is expected to land on your website using Organic search as this indicates that you are not totally dependent on other sources of traffic. If the number falls below this, you need to reconsider the SEO tactics to get the desired results. This one gives you the data of visitors entering and exiting the web pages of your website. It also shows what visitors were actually looking for on your website, helping you determine what content can generate greater traffic value for a long time. Of course, landing pages are so important. However, ideal website must have web pages where traffic uniformly distributed. Having the major traffic loitering only on the landing page won’t give your website a best chance to perform well on search engine. Optimize the distribution of your web traffic by boosting the clever content distribution across other web pages of your site. Include more details on your products and services in the most personalized way possible. This is the measure of how quickly your website loads when a person tries to open your website and explore its different pages. It is cumbersome to achieve the perfect balance between rich, influential content and optimal web speed. When you add more features to website, it normally contributes to killing its speed and performance. Page Speed Insights is considered to be the best way to review the loading speed of your website pages out of 100. It delivers recommendations and healthy, practical tips to optimize loading time. You can aim to hit 70 or more to be seen on Google rankings. Goal conversions are like milestones that act as individual targets determined manually to compare the results. It is one of the essentials of Analytics and setting up Goal conversions helps track your website performance. These goals can be related to number of people using your contact page, about us page, or deciding to purchase or reviewing your products. With goals, you can measure the performance of your website based on all previously discussed parameters such as most chosen source of traffic, most liked or sales-driving content and call to actions found most appealing by your website visitors. Depending on the results you get, you can implement on the most viable actions like adding a link for contact forms, products, specific services or content. This will encourage users to consider and convert on your website. If you are thinking for webdesign bureau or cakephp freelancers to a drupal outsourcing india. You should read the other articles written by the author for tips and tricks related to this.